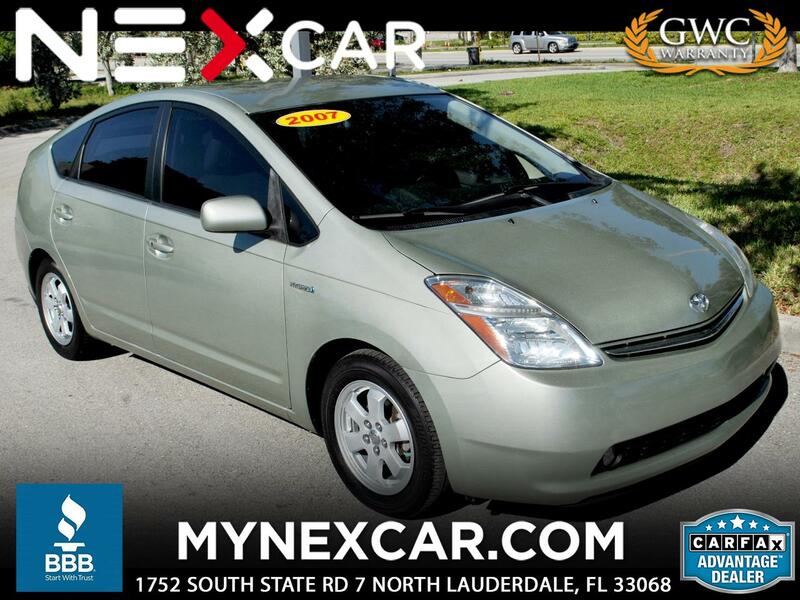 This 2007 Prius is a Florida car, Carfax clean with 19 service records. Well maintained and in great condition, it is propelled by a tandem gas-electric powertrain that can operate in pure electric mode at low speeds and while the vehicle is idling. The gas-burning 1.5-liter engine gets boosted by the electric motors when extra power is needed for passing. The Prius is rated by the EPA as being capable of achieving as much as 60 mpg in city driving (51 mpg on the highway). A continuously variable automatic transmission is standard and is operated via a small joystick mounted on the dashboard. The Prius is an almost mid-size vehicle that offers exceptional roominess compared with other cars in its class. It is also a high-tech tour de force, with a large electronic display that shows from which source or sources the vehicle is currently drawing power. Anti-lock brakes, power windows, locks and mirrors, and an electrically operated air conditioning system are standard. This 2007 Prius is an exceptional vehicle in both economy and style.